My Neighbor Totoro Wallpaper: 1, 2, 3! 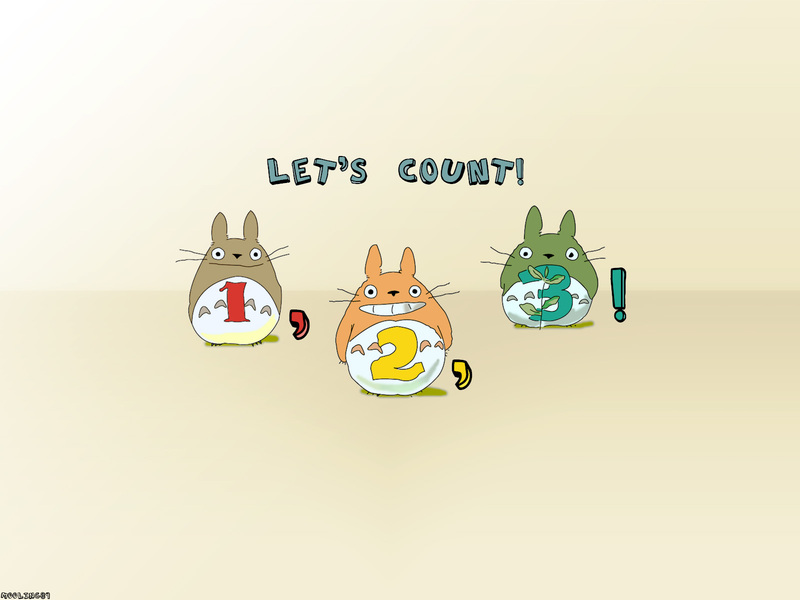 Minitokyo »	My Neighbor Totoro Wallpapers » My Neighbor Totoro Wallpaper: 1, 2, 3! This wall was done on a whim. I happened upon pictures of totoros with numbers in front of them, and I couldn't resist. The outlines were done in illustrator and the coloring in photoshop. This wall was just a little bit of fun and relaxing to make. I hope you enjoy it and counting: 1, 2, 3! Browse My Neighbor Totoro Gallery: Recent | Popular. Haha those little totoros are so cute. Great job outlining and coloring them. The quality of the wallpaper isn't so good, but it doesn't stop it from this to be an outstanding wall. Great job! thanks for the beautiful wallpaper!